Incredibly inspiring speakers at District 7950 Conference. Humbled and in awe of two of six women honored as recipients of the 2015 Rotary Global Women of Action Award. 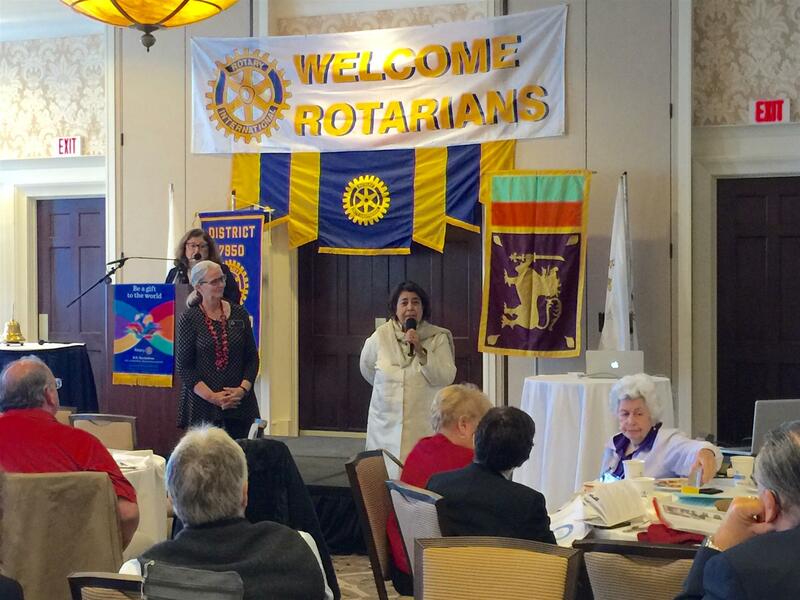 Razia Jan a native born Afghani who is past President of Duxbury club and Dr Deb Walters from Maine.f the 2015 Rotary Global Women of Action Award. 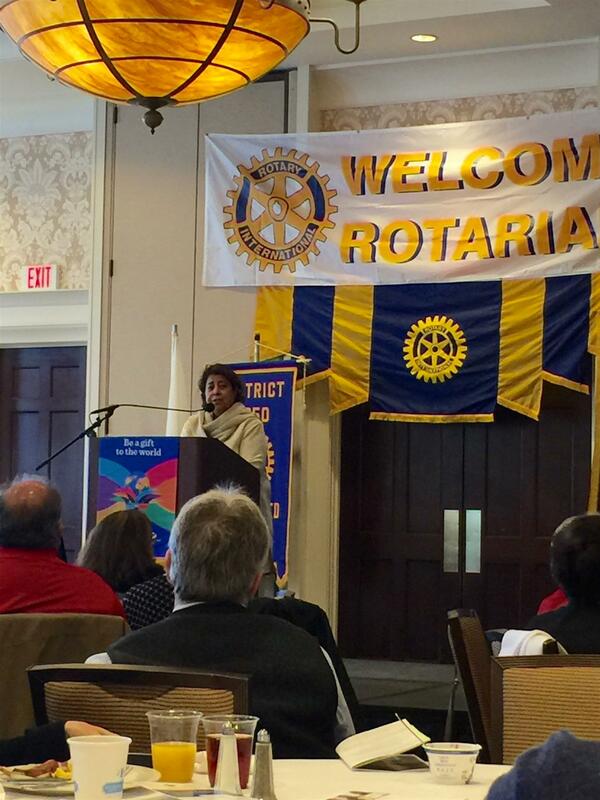 Razia Jan a native born Afghani who is past President of Duxbury club and Dr Deb Walters from Maine. Dr Den Walters paddled her 18' kayak, which she made(! ), 2503 miles from the coast of Maine to Guatemala to bring attention to the 10,000 people, the poorest of the poor, living in the Guatemala City dump. 5000 of the dump residents collect food and scraps to sell, to feed and support their families. During Deb's paddle she spent evenings speaking on behalf of the children, mothers and school started in the dump by Hanley Denning, providing education, nutrition and health. Today that school has a 40% graduation rate whereas the country has a 10% graduation rate. Their graduates make 5x the family income of an average Guatemalan family due to the fabulous education thru Safe Passages. 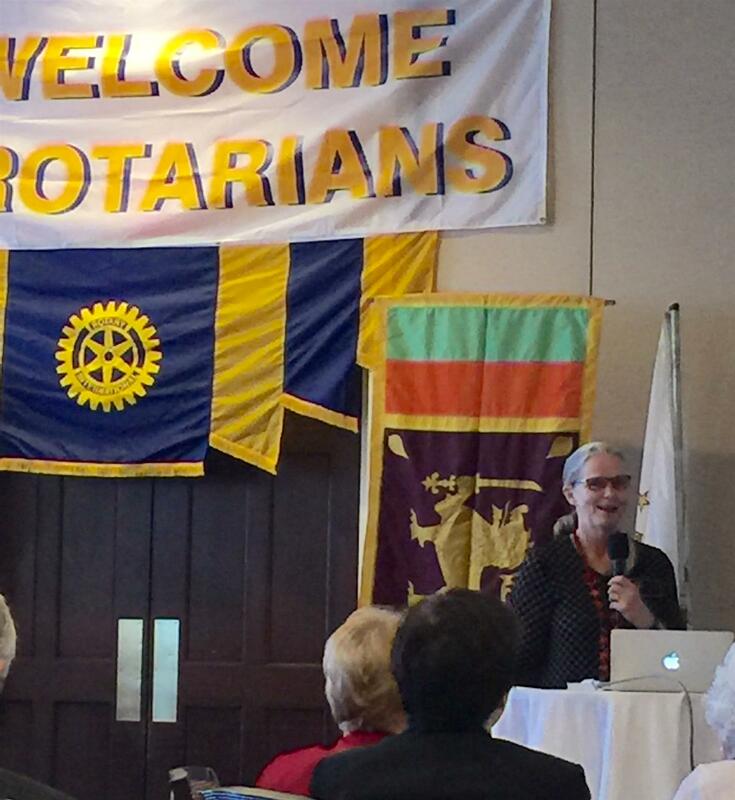 Dr Deb Walters raised $425,000 paddling in addition to awareness of Safe Passages of which she has served as president, and the recipients of the 2015 Rotary Global Women of Action Award.